Strudelhaus Salt E-Juice from The Milkman is an already great pastry flavored e-liquid now brought to you with a salt-based nicotine for your enjoyment in low output pod vaporizers. Picture a warm and flaky pastry dessert fresh out of the oven, fill the inside with a pile of sweet and fresh blueberries and you have Milkman's Strudelhaus E-Liquid. 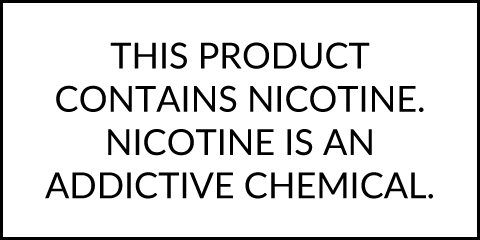 It is handcrafted by professionals in a US-based clean lab using top quality ingredients including a 70/30 VG/PG blend for a perfect balance between clouds and flavor. Grab your own Strudelhous Salt Liquid in 30mL child-resistant plastic bottles with one available nicotine strength: 40mg. Please note Salt E-Liquids are manufactured with high amounts of a salt-based nicotine, therefore they should not be used in high output sub ohm tanks or dripper atomizers. These liquids are intended for use with low output Pod based devices like Wismec Myjet or Eleaf iCare.